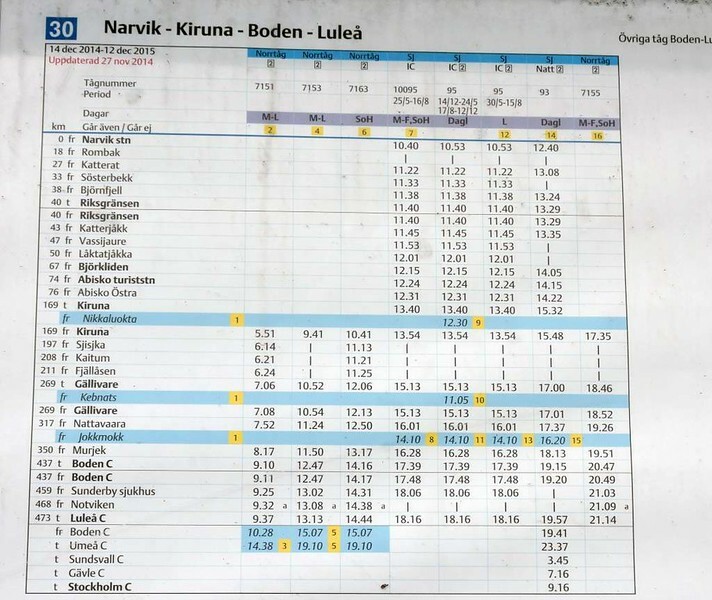 Narvik - Stockholm timetable, 23 July 2015. I rode on the 1240 sleeping car train from Narvik, due at Stockholm at 0916 the following morning. It is 1582km (983 miles) from Narvik to Stockholm.